The Modern Japanese Ninja over Mount Fuji. WASHINGTON (Jiji Press)--The U.S. Defense Department has notified Congress of its estimate that the planned acquisition of 42 state-of-the-art F-35 stealth fighters by Japan's Air Self-Defense Force will cost a total of 10 billion dollars. This is the first time that the overall estimated price for the sale to Japan of F-35 jets, built by Lockheed Martin Corp., has been revealed. The revelation will likely add to controversy in Japan over the introduction of the fighters at a time when delays in their development have raised worries about deferred deliveries and a rise in prices. According to the notice to Congress by the Pentagon's Defense Security Cooperation Agency, as of Monday, the total estimated cost includes the F-35 aircraft bodies, satellite-based electronic warfare systems, spare and repair parts, and personnel training expenses. The bureau said Japan is "a key ally of the United States in ensuring the peace and stability of this region." It also said the proposed sale of the aircraft and support "will not alter the basic military balance in the region." Last December, the government selected the F-35, jointly developed by nine countries including the United States and Britain, as the nation's next-generation fighter to replace the aging fleet of F-4 fighters. It plans to deploy 42 F-35 fighters and set aside outlays for the first four units in the fiscal 2012 budget. 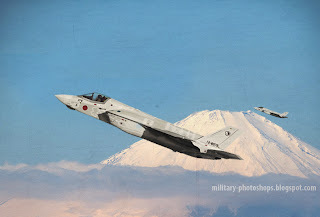 Under the budget, Japan earmarked about 8.9 billion yen per F-35 aircraft body. By contrast, the U.S. estimate means a unit price of 238 million dollars, or about 19.1 billion yen at current exchange rates, more than double the Japanese calculation, though the U.S. figure also includes ancillary equipment and training expenses. The Defense Ministry intends to choose the F-35 fighter jet, jointly being developed by the United States, Britain, Australia and six other countries, as the next frontline fighter plane in the Air Self-Defense Force's arsenal, it has been learned. The ministry will officially name the advanced F-35 as a successor to the ASDF's current F-4 fighter jet Friday at a meeting of the Security Council of Japan led by Prime Minister Yoshihiko Noda.In the budgetary request for fiscal 2012, the ministry has posted 55.1 billion yen as procurement expenses for four F-35 jets. The ministry eventually plans to deploy about 40 jets in the future. Japan has not participated in the joint development project, which is being led by U.S. defense contractor Lockheed Martin Corp. In the process to choose its next-generation fighter jet, the ministry and ASDF were drawn to the F-35's technologies that include the latest stealth capability that enables it to more efficiently evade radar detection, as well as its ability to inform F-35 pilots about key information gathered from various sources including ground radars and Aegis-equipped vessels. Though Japan is not a participating nation in the F-35 project, the U.S. government has stated it disclosed some classified information about the jet's body to its Japanese counterpart. This means Japan's companies will be involved in the F-35's manufacturing process. The Defense Ministry believes the introduction of the jet will help the country to maintain an understanding of the F-35's basic technology. There is concern that the first of the jets might not be available during the ministry-set deadline of fiscal 2016 due to development delays caused by a U.S. defense spending cut. Despite this, it is said that the U.S. government has promised that the jets will be delivered to Japan during fiscal 2016. This is the first time in about 30 years that the Defense Ministry will choose a next-generation fighter jet. The ministry has been evaluating the F-35 against two other candidates--the F/A-18E/F, which is mainly manufactured by U.S. firm Boeing Co., and the Eurofighter, jointly developed by four European nations headed by Britain's BAE Systems PLC. The Defense Ministry and the ASDF graded the three jets using a 100-point scale on four aspects: performance, related expenses, influence on domestic industries, and ease of maintenance and repair.